He graduated from the ETSAM Technical School of Architects in Madrid with a degree in Architecture in 1981. He also holds a degree in Design from the International University of Art in Florence, Italy in 1984. 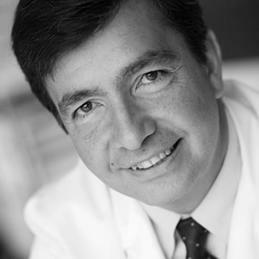 In addition to his work as CEO of Estudio Lamela, Carlos Lamela belongs to different institutions related to his profession. For example, he serves as Chairman of the Urban Land Institute’s (ULI) Madrid Chapter. He is also often invited to give lectures in different Spanish universities, schools of architecture, foundations, fairs, exhibits, institutions, regional architectural associations and congresses related to architecture, construction and urban planning. Furthermore, he participates as a voice of public opinion in different media such as television, radio and newspapers. He was recognised as the “Best Spanish Architect of 2003” by one of the most prestigious Spanish printing houses, and has been a member of juries overseeing prestigious competitions in Spain, such as the Astroc Prizes in Photography in 2007, the 7th Saloni Architecture Awards in 2007 and the ULI Prizes in 2004. Internationally, he has been invited to give lectures at Harvard University’s Graduate School of Design in Cambridge, USA; at Cornell University’s Department of Architecture in Ithaca, USA; at Politecnico di Milano’s Department of Architecture and Planning in Milan, Italy; at Rafael Landívar University in Guatemala; and at other institutions in Venice, Warsaw, Buenos Aires, Tangier, Querétaro and New York.